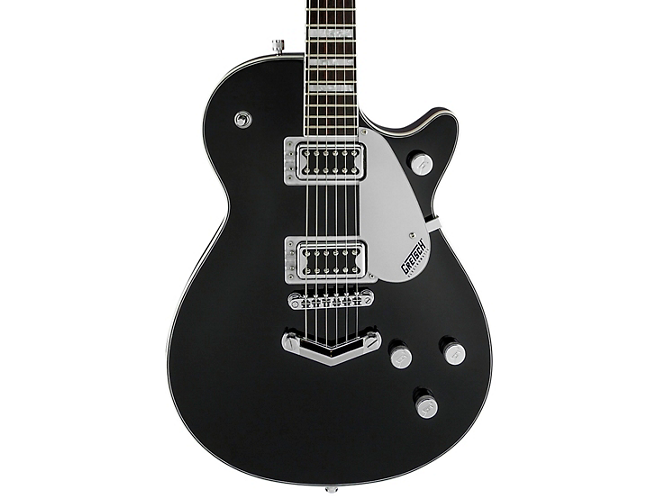 The Gretsch Electromatic G5220 Jet BT Single-Cut with “V” Stoptail electric guitar is the perfect way to get your hands on a real Gretsch archtop for a wonderfully low price. 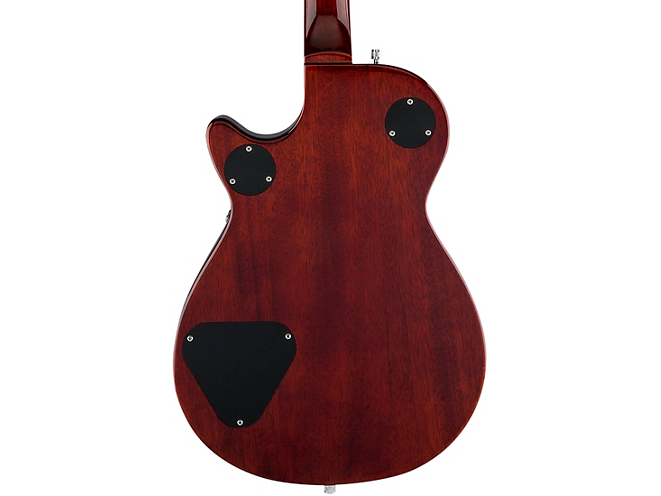 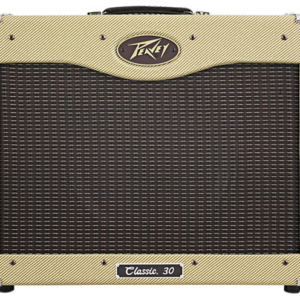 The G5220 Jet offers you the full, warm sound of a chambered mahogany body with a maple top. A pair of Broad’Tron pickups lets you tap into the definitive tone of Gretsch’s classic humbucker sound. And a mahogany neck with black walnut fingerboard also brings you that classic Gretsch feel and playability. 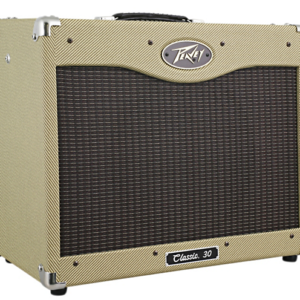 Finally, a classic “V” Stoptail bridge provides a vintage look as well as great support for staying in tune. 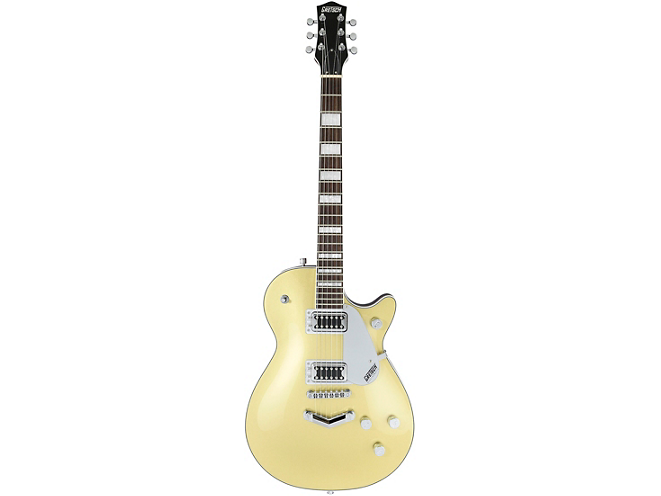 Hollowbody players here at Kenny’s Music love the Gretsch G5220 Electromatic Jet BT. 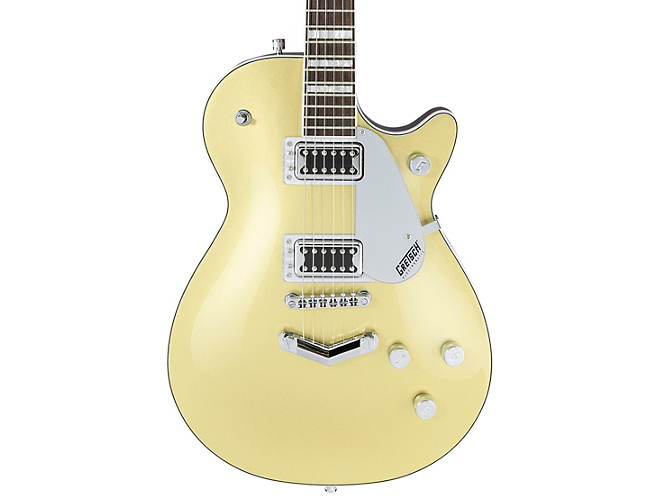 When you want classic ’50s-era archtop guitar tone, you need real Gretsch humbuckers. 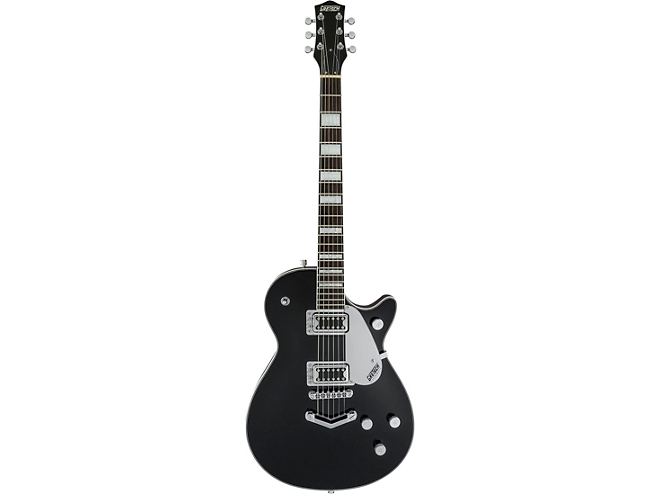 That’s why Gretsch gave the G5220 Electromatic Jet a pair of Blacktop Broad’Tron pickups. 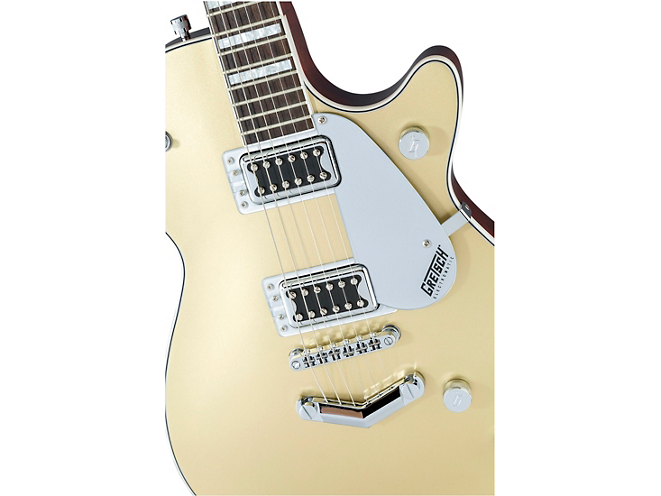 These humbuckers give you traditional Gretsch growl and grit, as well as deliver pristine clean tone when needed. 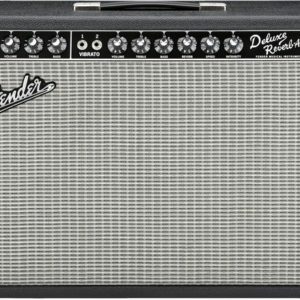 In addition, individual pickup volume controls, master tone, and master volume with treble bleed circuit provide exceptional tonal range and control, putting you in the driver’s seat as you explore your own style.